Legal Principles Affect Recreational Water Use: Some Things to Know Before You Boat or Build That Dock | Fryberger, Buchanan, Smith & Frederick, P.A. In Minnesota and Wisconsin, water is an essential element of summer recreation. Swimming, boating, fishing, and paddling of all kinds are ubiquitous on our lakes and rivers when the temperatures rise. Because “lake season” is often fleeting, we don’t normally consider legal questions regarding recreational water use. For instance, can the owner of lakefront property always build a dock extending into the lake? Is that owner free to use any part of the lake that does not touch his or her property? Can those who don’t own property on a lake use the lake at all? Although we may presume to know the answers because of how we typically use water, the true answers (and their legal bases) may surprise some. The doctrine provides that each State holds all “navigable waters,” and the beds underlying them, in trust for use by its citizens. For purposes of public water use under state law, the term “navigable” generally means water bodies capable of supporting at least light watercraft at some time during the year. (“Navigable” is separately defined under federal law for purposes of Congress’s power to regulate commerce – a topic beyond the scope of this article.) Holding such waters “in trust” for the public means that all citizens have the same right to use such waters. Importantly, however, the right of use does not include the right to access navigable waters over private property. A public access point, or permission from a private landowner, is required for citizens to actually enjoy the navigable waters held in trust by the State. While Minnesota courts have not defined the specific uses to which the public is entitled, Wisconsin has identified boating, swimming, fishing, hunting, and preserving scenic beauty as among the public’s use rights. If a non-flowing water body is not navigable, the bed underlying it is typically owned by the owner or owners of adjoining land. The bed of a non-navigable stream or other flowing water body is typically owned by the owner of land on each side up to the midpoint. Non-navigable water bodies are not subject to the public trust doctrine. A landowner who does not own the bed of a natural water body adjoining his or her property still has rights to reasonably use and enjoy the water. These “riparian rights” typically include the rights to access the water from the owner’s shoreline and to construct or place a dock or similar structure into the water for aiding access or navigation. But, such rights are subordinate to public rights and, accordingly, are subject to governmental controls, such as restrictions on dock placement or size under county zoning regulations. Riparian rights begin where the shoreline owner’s land title ends. In Minnesota, shoreline owners hold title up to the low water mark – the line along a bank or beach where the water actually meets land. In Wisconsin, shoreline owners hold title only up to the high water mark – the point on the bank or shore up to which the presence and action of water is so continuous that it has left a distinct mark either by erosion, destruction of vegetation, or other means. Shoreline owners in both states have title to new land created by “accretion,” the process of land formation by the natural and gradual depositing of soil by water action, and by “reliction,” the process of land formation by the natural permanent receding of water. In contrast, a landowner along an artificial, man-made water body (such as a non-natural water body, or “flowage,” created by the damming of a river) generally has more limited riparian rights, if any. In Minnesota, however, a landowner may acquire riparian rights in an artificial water body if, for example, a dam on a natural river has existed long enough to create the “prescriptive right” to maintain the dam—typically 15 years. The existence of riparian rights and the interplay of such rights and the public trust doctrine are not always clear, and application of the law can sometimes have surprising results. Two court cases, one each from Minnesota and Wisconsin, offer examples. In 2006, the Minnesota Court of Appeals decided in Magnuson v. Cossette that the legal description in a deed to property on the west side of Lake of the Woods was insufficient to convey riparian rights. The deed described the property’s water-side boundary as running to “the Westerly line” of a six-inch-wide steel wall constructed to prevent shoreline erosion. The court concluded that such language meant that the boundary stopped at “the westerly, or landward side of the sea wall.” Because the sea wall did not extend into the water, the landowner lacked riparian rights and could not moor his boat on the water side of the sea wall. Accordingly, landowners who utilize their shorelines as a riparian owner may wish to verify that their property in fact touches the water. In January 2018, the Wisconsin Supreme Court concluded in Movrich v. Lobermeier that the Movriches, whose land along a flowage (which the court majority classified as an artificial water body), could not maintain a dock extending from their land into the water where the waterbed immediately in front of their property was owned by their next-door neighbors, the Lobermeiers. Importantly, the court decided that although the Movriches had the right to use and enjoy the water as both members of the public under the public trust doctrine and as riparian owners, those rights were superseded, in part, by the Lobermeiers’ title to (and consequent rights in) the waterbed in front of the Movriches’ shoreline. Basically, the Lobermeiers could deny the Movriches the ability to maintain a dock that touched the Lobermeiers’ flowage bed. The Movriches could, however, directly access the flowage water from their shoreline without maintaining a dock. This case highlights the importance for owners and prospective purchasers of property along flowages to verify ownership of the waterbed that abuts the property. With summer on its way, water recreation in Minnesota and Wisconsin will make its seasonal recurrence. Although questions involving the public trust doctrine, riparian rights, or both don’t often arise absent actual disputes between waterfront landowners or between such owners and water users, familiarity with basic water rights is important for such owners and users alike—which is to say, almost all of us. Further, owners and prospective buyers of waterfront property may wish to obtain a title report to confirm (1) that the property line in fact touches the adjoining water line, and (2) for artificial water bodies, the owner of the adjoining water bed. Consulting with an attorney may also help in understanding recreational water use questions. 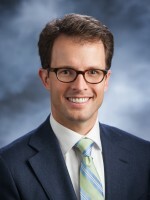 Eric Johnson is an attorney with Fryberger, Buchanan, Smith & Frederick, P.A. practicing primarily in the areas of Business Litigation, Appeals, and Lender Support Services. This article is not intended to provide legal advice. You should always consult an attorney regarding your specific circumstances.